Don't be bummed out by dry skin any longer. With Colorescience foundation for dry skin, you'll discover makeup that does more than cover your blemishes—it naturally heals and rejuvenates skin from the inside out so you can enjoy your skin with or without makeup at any time of day. What kind of foundation works best for dry skin? Dry skin plagues thousands of people every year. Patchy, itchy, and flaky skin can scars and blemishes as well as damage self-esteem. If you have dry skin patches or extremely dry skin on your face, we have the cosmetic solution for you. With Colorescience foundation for dry skin, you can rest assured that your skin is well taken care of. The causes of dry skin on your face can be vast and varied. From genetics to diet, your skin health depends on many underlying factors. If you're experiencing a hormone imbalance, aren't hydrated enough, or you live in an arid climate, these factors may contribute to dry skin. The best dry skin foundations are designed to give skin back its moisture for a smooth, dewy look. How should I wash my face if I have dry skin? Many with dry skin make the mistake of washing their face with harsh chemicals and using the wrong moisturizer. To prevent dry skin from getting worse, refrain from using hot water and gently wash your face with warm water and a cleanser designed for sensitive and dry skin. It may be tempting to exfoliate to rid your skin of flakes and peeling, but that can actually make it worse. Over-exfoliating will leave your skin raw and cause your body to produce more oils that can cause breakouts. When in doubt, always be gentle on your skin. What kind of moisturizer should I use for dry skin? The next step is applying a moisturizer. 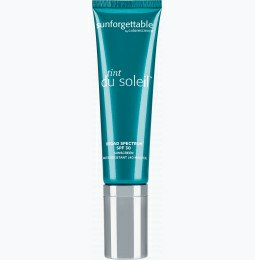 Always use a moisturizer with an SPF of 30 or above to protect your sensitive skin. Try our face primer for dry skin and foundation powder as a light foundation or for touch ups throughout the day. Our brush-on mineral foundation is the perfect dry skin face powder that provides moisture without starving your skin of moisture. Colorescience dry skin makeup is made with your sensitive skin in mind. We're proud to give our clients natural foundation that don't just cover up the skin—our foundation for dry skin heals the skin so you can go confidently with or without makeup. Try our mineral makeup foundation today for healthier and more vibrant skin.